Civic body spends around Rs. 25 crore on sterilisation with little results. Residents in colonies and drivers on different roads of Hyderabd continue being chased by stray dogs. 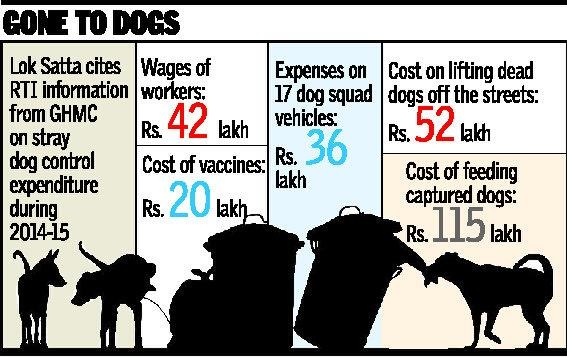 What expenses would have the civic body incurred to sterilise and vaccinate 44,100 stray dogs in the city? 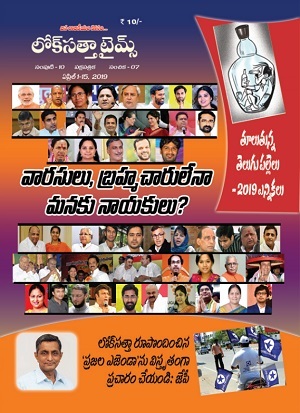 Leaders of Lok Satta’s city unit, who got details from the Greater Hyderabad Municipal Corporation (GHMC) through an RTI application, say they are shocked to find it to be around Rs. 25 crore! And that too with no visible results on the ground, and with residents in colonies and drivers on different roads continue being chased by stray dogs. The Lok Satta GHMC unit general secretary Sambi Reddy on Wednesday told reporters that details collected through RTI from the GHMC put the expenditure incurred by the civic body on this count at Rs. 42 crore plus. The information says that the GHMC, in five years from 2009 to 2015, incurred Rs.39.93 crore on stray dogs control and Rs. 2.10 crore for dog squad vehicles. “Assuming some component of the expenditure went for monkey catching, on rescued cows and so on, we calculated their stray dog control expenses at Rs. 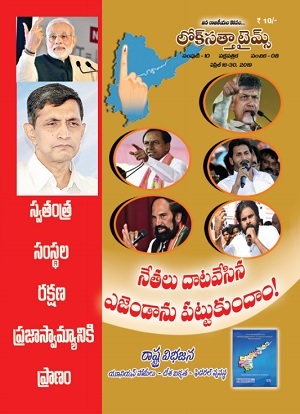 25 crore. For 44,100 dogs, this amount will mean Rs. 5,000 per each stray canine which is very high,” says Mr. Reddy while demanding that the civic body explain how the amount was spent on the animal birth control programme and why no results were observed on the ground. Leaders of Lok Satta local unit wondered how despite the GHMC claim of spending such large amounts over the last five years, the dog population in the city is increasing.